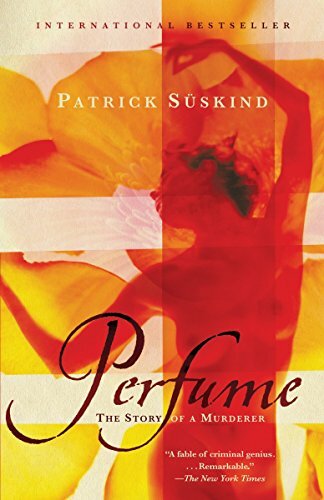 by Patrick Suskind | Literature & Fiction | This book has not been rated. In leisurely, aristocratic measures soaked with irony, PERFUME unfolds the gruesome, picaresque allegory of an olfactory genius-monster--a murderous perfumer of decadent eighteenth-century France. Sean Barrett gives a masterfully effete reading, with flawless articulations of character and wicked, understated nuances. He wisely plays the humor not at all, instead accentuating a kind of connoisseur's study of the Grand Guignol. Eschewing overtly Gallic inflections, he puts pre-Revolutionary France in his voice merely through lightness of touch. A feast for lovers of voluptuous language, sly wit and epicurean mayhem. Wow. And I had thought the movie was weird. In all seriousness, this is a great read. The story is interesting and fast paced but above all, beautifully captured in rich and provocative language. Enjoyable as both a stand alone novel or as a great companion to the movie. Caught at the mega Lower Mainland BookCrossing Meetup last night. Thanks, Marina. Great BC Label! Love the rose. So appropriate. A seductive horror novel, wonderfully written, with a shocking, although seemingly fitting, ending. Come on out to the Burnaby Edition of the LM Bookcrossing group! Picked up at the meet-up tonight. Looks interesting. I found this book to be very well-written and unique. At the same time, the main character was so monstrous and creepy, that at times it was difficult to read. This book is now on its way to Gzusgirl, who chose it out of the TBR VBB. Enjoy!